Whispering Galleries is an interactive digital artwork that uses the Leap Motion gestural controller to allow visitors to interact with a historical diary. The project takes as its central metaphor the architectural whispering gallery, a domed space whose unique shape carries even the quietest sounds from one end of the room to another with utmost clarity, allowing visitors to communicate in whispers across a great distance. Our whispering gallery delivers messages across the vast distance of time—helping a voice that would otherwise be lost to history find its way to a contemporary audience. 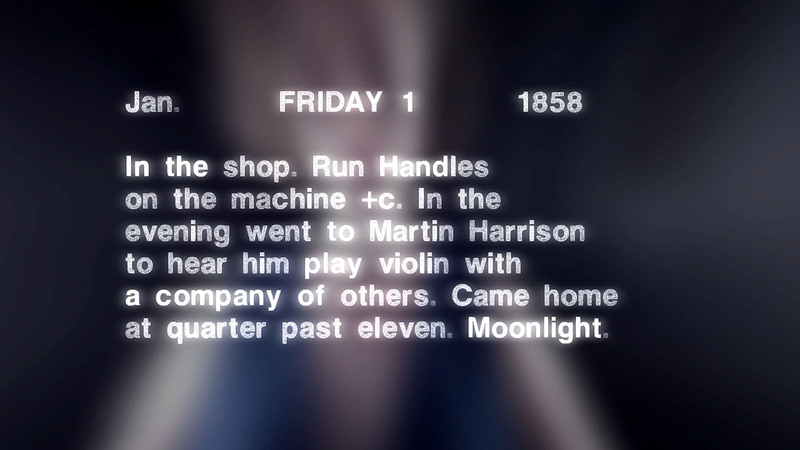 Visitors to Whispering Galleries see their own image reflected and distorted in the hazy domed space of the screen, and floating somewhere between them and their reflection, a short text appears: the transcription of an anonymous shop-keeper’s diary from 1858. 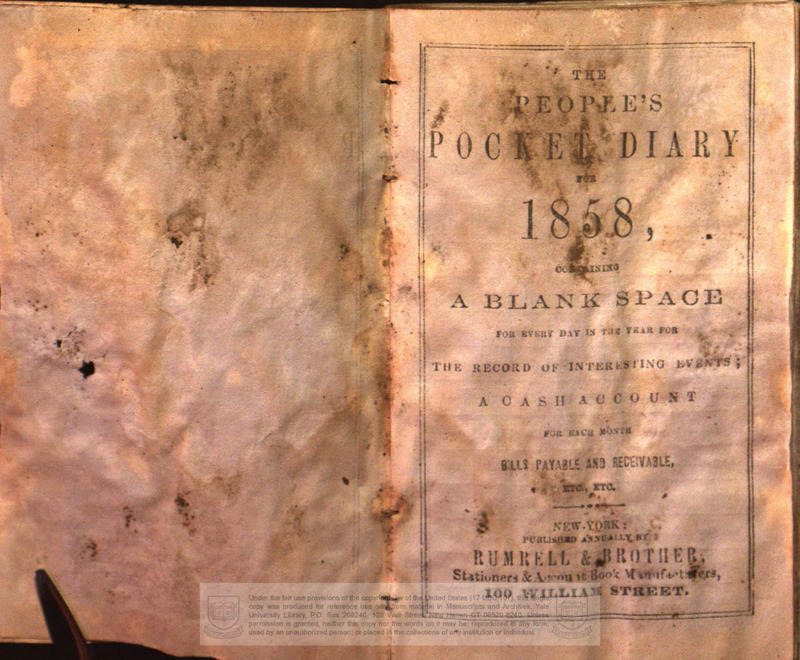 The keeper of this diary worked with his hands: as a woodworker making handles for tools, as a dry goods clerk sweeping out the shop and making trade, as a violinist making music at intimate gatherings and church occasions, and as a composer writing pieces for performance at the local school. 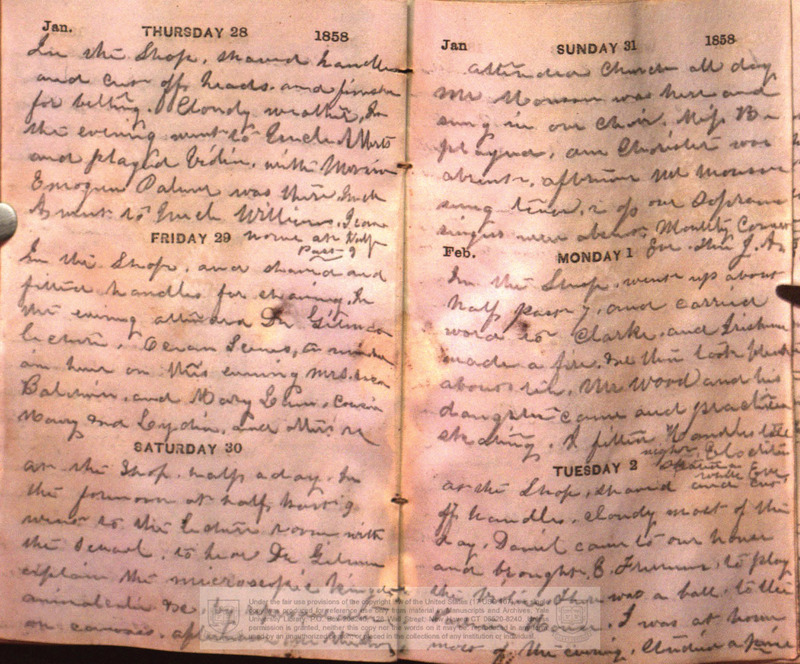 In daily entries, the author’s week is measured out by hand-work. Others come in and out of his shop and diary: customers, relatives, and friends whose presence reveals the way a New England community of the mid-19th century relied on careful manual labor for its members’ livelihood and enrichment. Visitors to Whispering Galleries use their own hands sweep the dust from his diary. Gesturing over the Leap controller, they scatter pixels from the text, leaving behind a web of words: erasure poems that tell a hidden narrative of 19th-century life, labor, and art. Readers can progress from January 1 to December 31, 1858, through thirty entries spanning the year that meditate on the artistic hand-work that was so central to its author’s life. 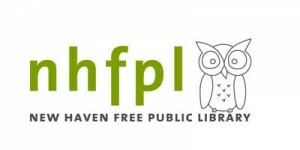 Funded in part by Site Projects through a grant from CT@Work, the piece launched April 26, 2014 at the Ives branch of the New Haven Free Public Library, and has been on view in the library’s 5 branches this summer. 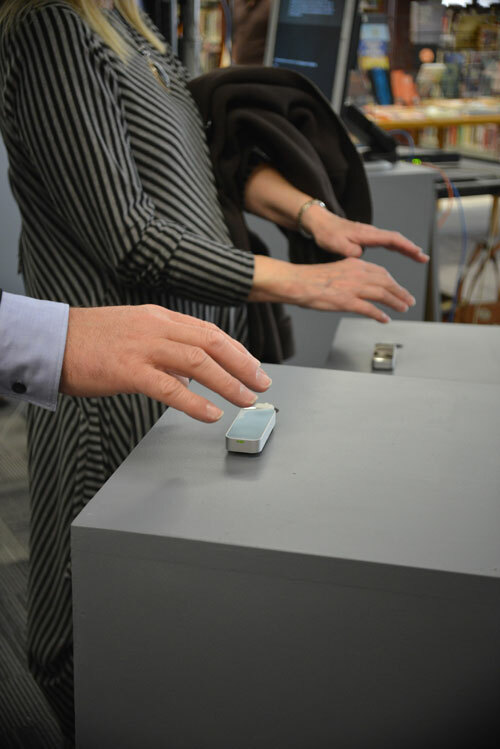 In September 2014, it moved to the Institute Library, New Haven’s first private library, and downtown’s City Hall building. 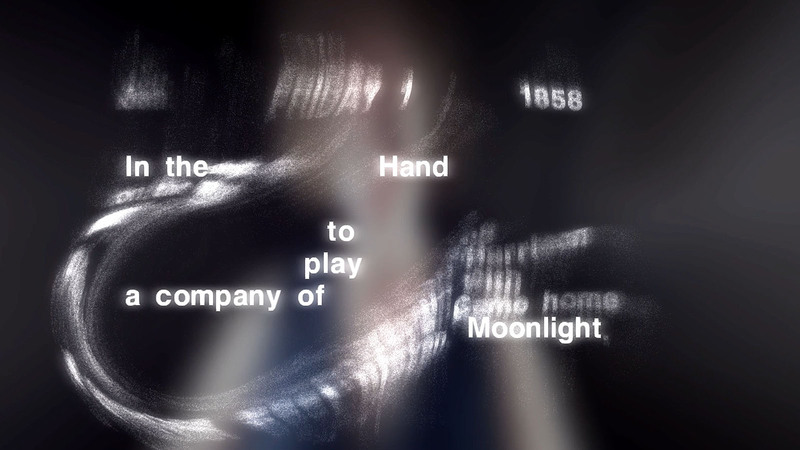 In summer of 2015, it was exhibited as part of New Text at the International Symposium on Electronic Art in Vancouver. Whispering Galleries has been written up in the Yale Alumni Magazine, was listed as one of the top reasons to visit the branches of the New Haven Free Public Library, and Elizabeth Antle-O’Donnell, Program Coordinator of Site Projects, and I spoke about the project with Stephen Grant of the Arts Council of Greater New Haven for WPKN radio. 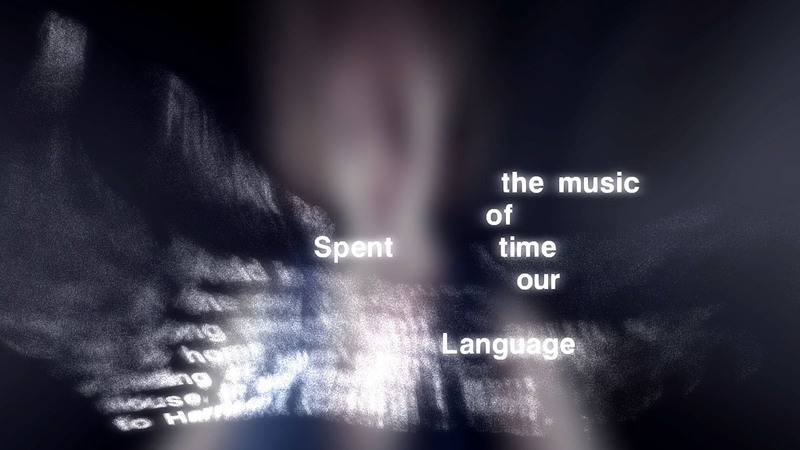 The piece has since been included in the exhibitions You/I: Interfaces and Reader Experience (Paul Watkins Gallery, Winona State University, September 2016) and New Text (ISEA Vancouver, 2015), curated by Dene Grigar. Christopher Arnott. “Whispering Galleries.” Yale Alumni Magazine (July/August 2014). Joe Amarante. “Tech-savvy ‘Whispering Galleries’ time travels in ‘erasure’ mode.” New Haven Register (Apr 25, 2014).